Working in close partnership with the event company behind the festival we provided them with the beer festival element of the 5 day beer and music festival. We were responsible for chilling and conditioning over 18,000 pints of beer. 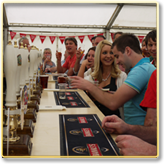 All the beer was dispensed through our own traditional hand-pumps and a dispense temperature of 12 degrees was maintained throughout a hot August bank holiday weekend. 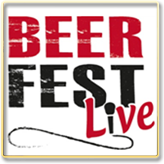 Beerfestlive is a new concept in beer festivals being developed by Outside-inns.